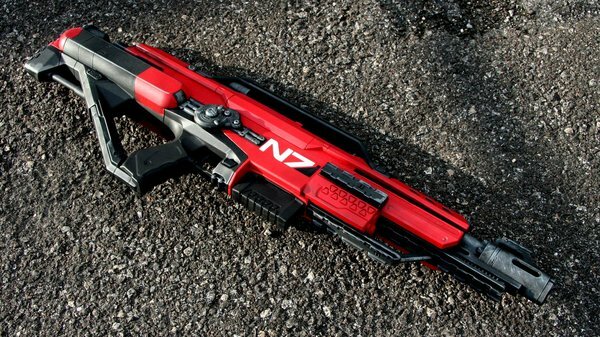 By Norman Chan on May 30, 2012 at 1 p.m.
Brian Johnson of Johnson Arms shares his favorite Nerf guys to transform into awesome sci-fi props. 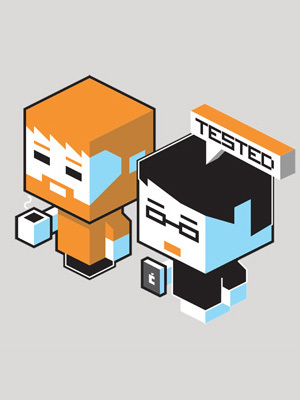 For more Tested.com content become a premium member, subscribe to our YouTube channel and check out our weekly podcast with Adam Savage! Taking your first step into the world of making things is often the biggest mental hurdle; it's easy to be overwhelmed by all the tools, techniques, and technologies available to makers when you just want to get that fully-formed idea you have in your head into an object you can touch and hold. Take crafting weapons from video games or movies, for example. 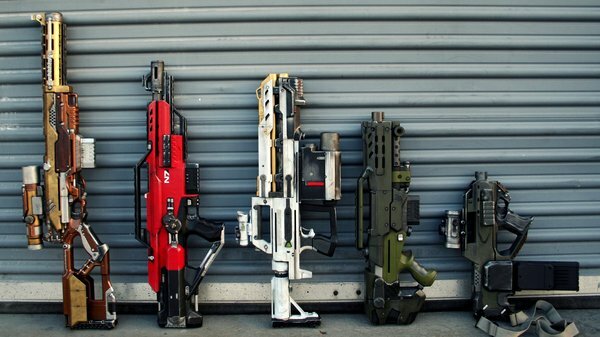 Prop makers like Harrison Krix of Volpin Props practiced for years before he was able to make convincing Mass Effect rifles that are now even showing up in live action TV commercials. That's daunting for someone who's just starting out. But as one growing community has found, prop makers can bypass the complicated fabrication process by using toy guns as a base for paint jobs and custom modifications. Specifically, Nerf guns. The bright-colored plastic toy guns lend themselves to gritty science-fiction or steampunk redesigns, as Hasbro wants to keep the in-store models unrealistic to stay kid-friendly. And they're relatively cheap to boot. 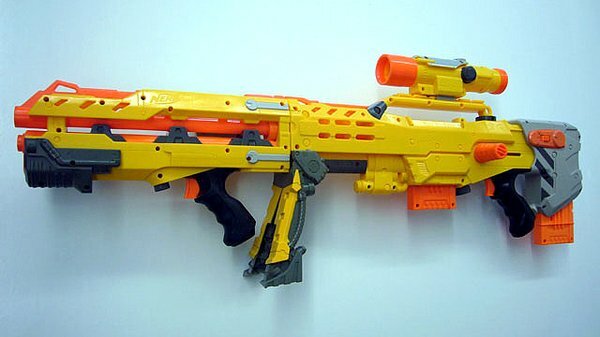 I spoke with Brian Johnson of Johnson Arms about the process of modding Nerf guns and how he's turned this hobby into a successful side business. 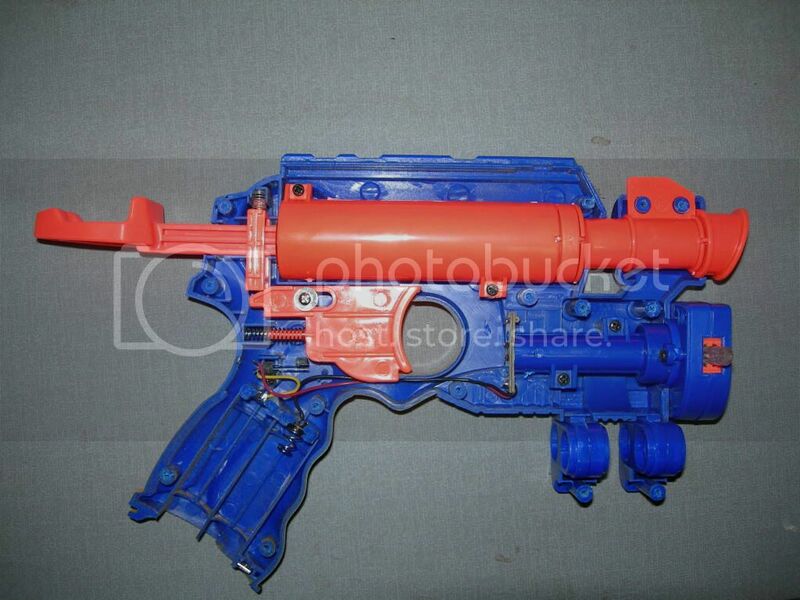 Brian is a banker by day, and started modifying toy guns back in the 80s (when it was popular to spray black paint over orange safety tips of fake guns). 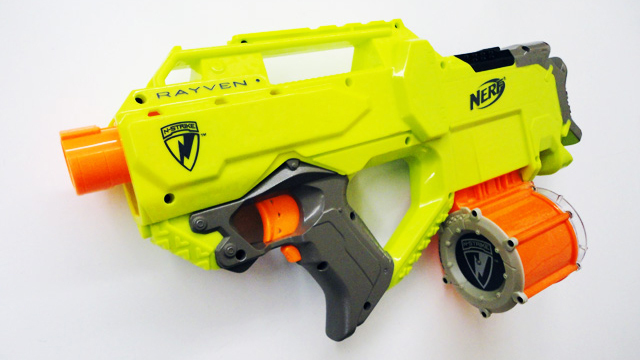 Nerf released a toy called the Maverick, which Brian says he felt compelled to paint when he saw it in 2010. The pistol had a great oversized revolver look that was a good fit for a military style--Johnson painted his in matte black and camo just as a fun project with his son. 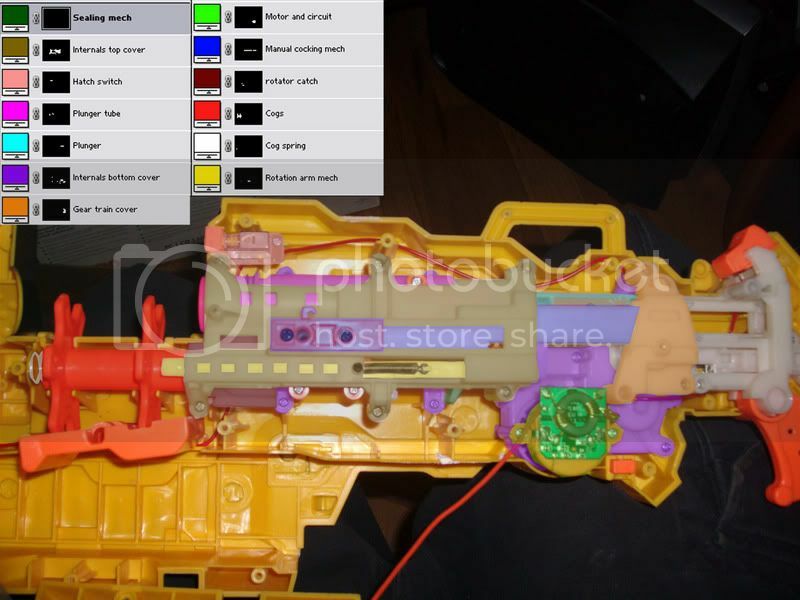 The gun still looked plastic-y, so Brian continued to add secondary colors. The finished project looked good enough that he tried selling it on eBay. Since then, he's been painting and customizing Nerf guns in his garage and improving his techniques. 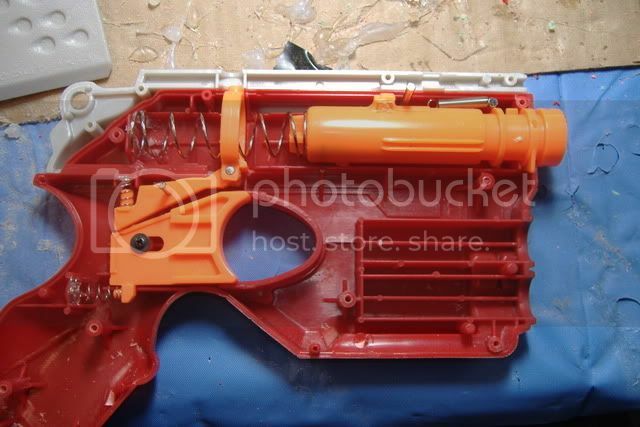 Nerf modders take their craft pretty seriously--very active forums are kept up to date with ongoing project diaries, studies of upcoming Nerf releases for modding potential, and in-depth guides to the best way to paint and mod each type of Nerf gun. Every modder has a different style and approach--some add elaborate ornamentation and accessories to completely transform the toys while others simply enjoy the practice of painting and weathering. 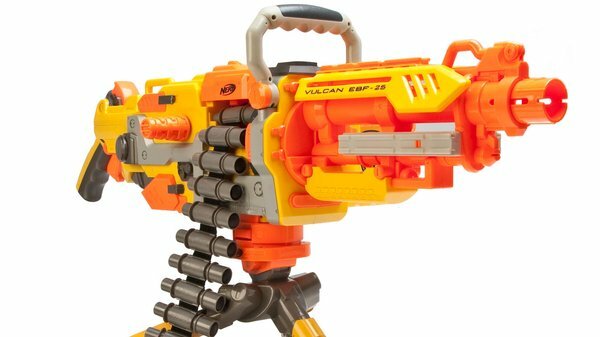 I asked Brian to give a rundown of some of his favorite Nerf gun toys to paint and mod, ranging from pistols that are easy to disassemble and spray paint to fully automatic rifles that cater to more advance modifications. Brian's picks below are a great starting point for aspiring prop painters, along with the NerfRevolution and NerfHaven forums. You can find more of Brian's awesome work at his Johnson Arms homepage. Easy to disasseble and not too many internal parts to position for reassembly, along with minimum number of logos to remove. This is a great blaster to start with painting. It costs about $10 and has a great shape for many applications. 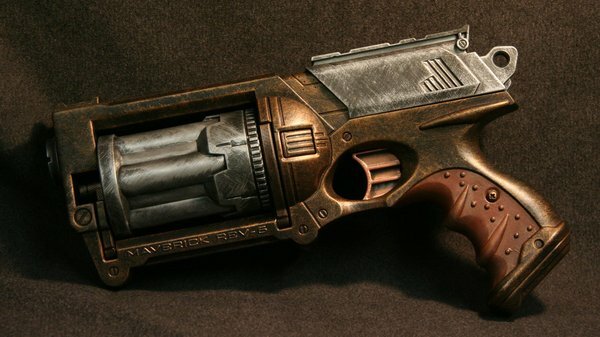 Because of its retro revolver style, it's great for things like steampunk or anywhere an over-size revolver would be appropriate (think Hellboy). Anime cartoons are known for having over-sized weapons, be they swords or guns. 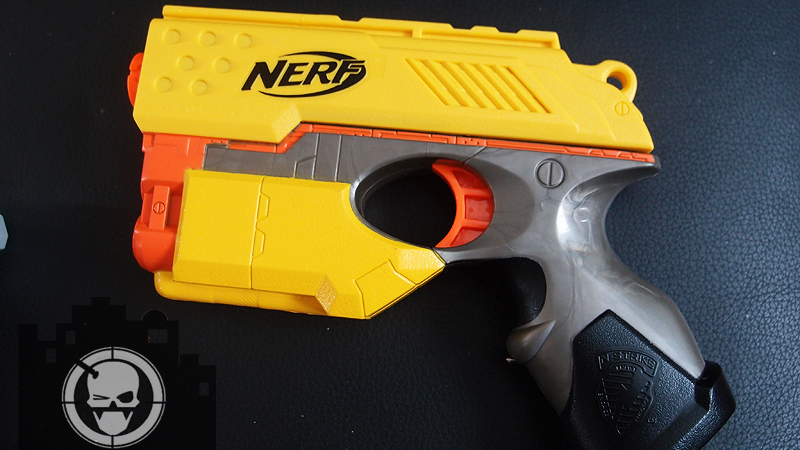 This is one of the best nerf guns out there. It's old-school in that is still has the more powerful direct-plunger style system. They stopped selling them in the US in early 2011 so they're becomming harder to find. A somewhat easy spring replacement can yield close to 100ft ranges. I love this model for it's beefy appearance that lends itself well to a lot of styles. 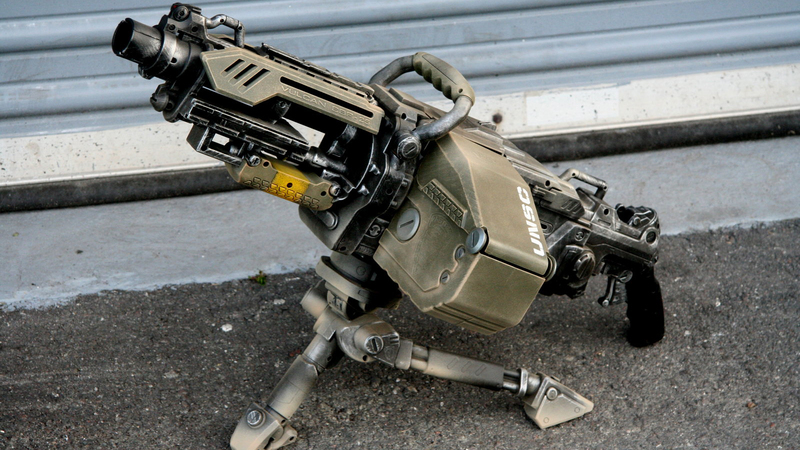 This is the one you see being used the most in a lot of indie sci-fi films. This is the beast of the nerf lineup. It's belt-fed and full-auto. 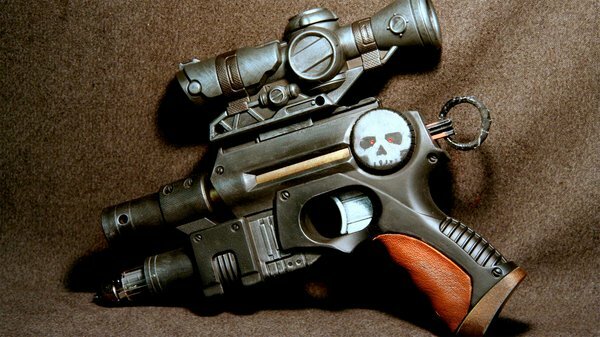 It's an awesome looking gun by itself, and when customized it just looks like a monster. Most modders bump up the voltage to increase the power and rate of fire. 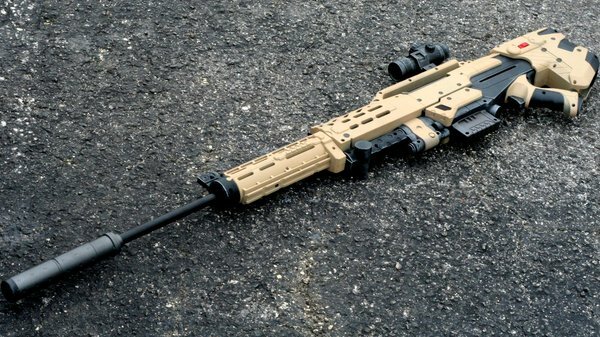 Although I think this is a great gun, anyone new to modifying should be very careful of the internal components. This is another great blaster to start with in modding. 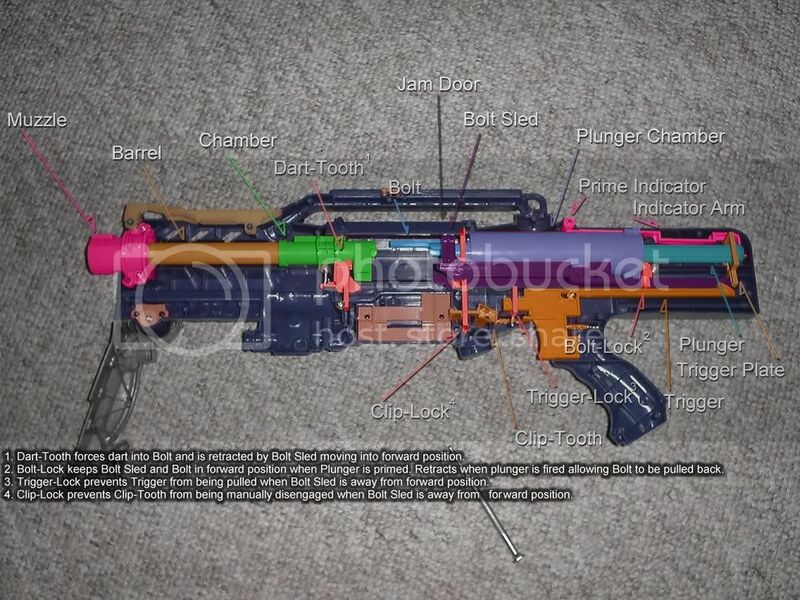 Fairly simple internals, but it has batteries to power the red LED that projects a red "targeting recticle." Having the (2) AA batteries really opens the doors to adding LEDs to the gun. It's an easy one to do an air-restrictor removal modification on, which increases the distace of the dart by about 10 feet or so, especially with the streamline darts. 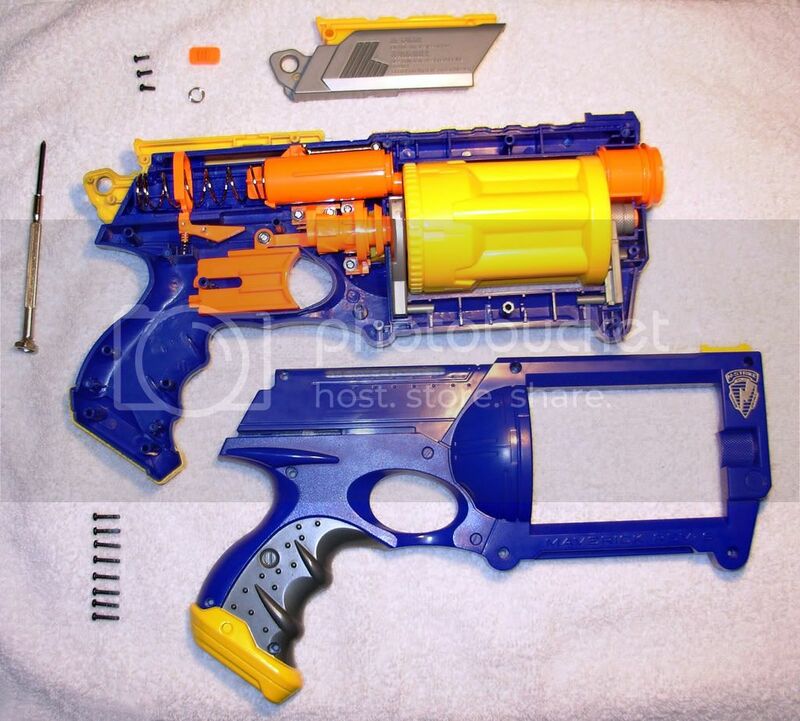 This was once a very difficult blaster to obtain as it was only sold in a set that included the nerf Titan (the one that shoots a foot-long, giant nerf dart.) It's one of the only Nerf designs to have a slide that resembles a modern semi-auto pistol. I really like this one for cosmetic mods and it's pretty easy to remove the air-restrictor for added dart distance. 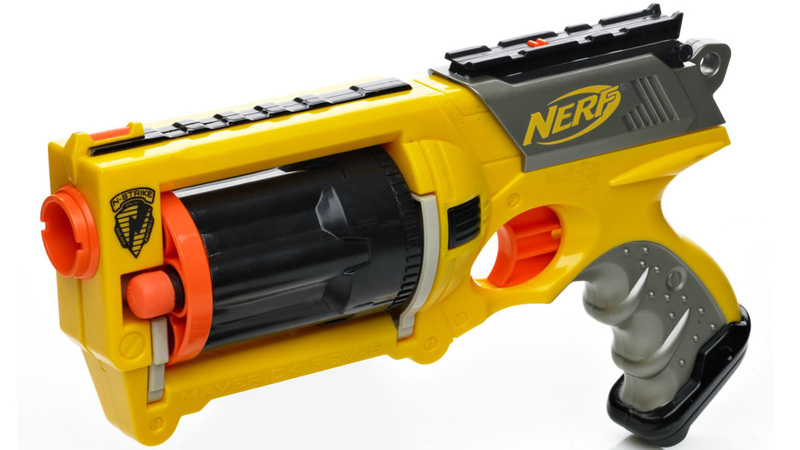 I really like this new Nerf gun. 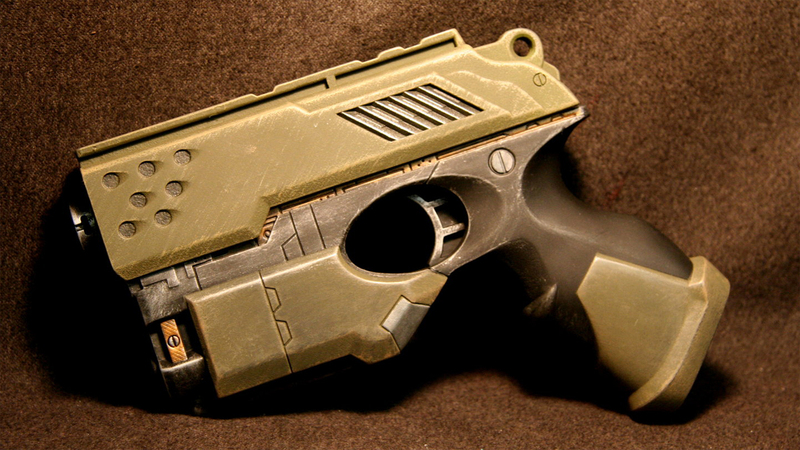 It has a fantastic shape that lends itself well to sci-fi or modern weapon designs. 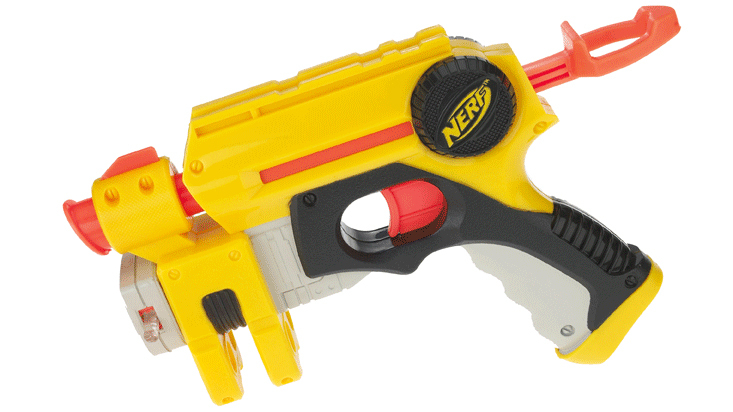 It's also a semi-auto gun so it can fire as fast as you can pull the trigger. The thing I like the most about this model is that because it's battery powered (darts are propelled with two spinning wheels), you can install unprotected lithium-ion batteries to bump up the voltage to about 12.7 without stressing the motors too much. This gives the gun an increased range of about 60-70 feet before the stock darts start to veer off target. Here's a detailed guide on how to do the battery upgrade. 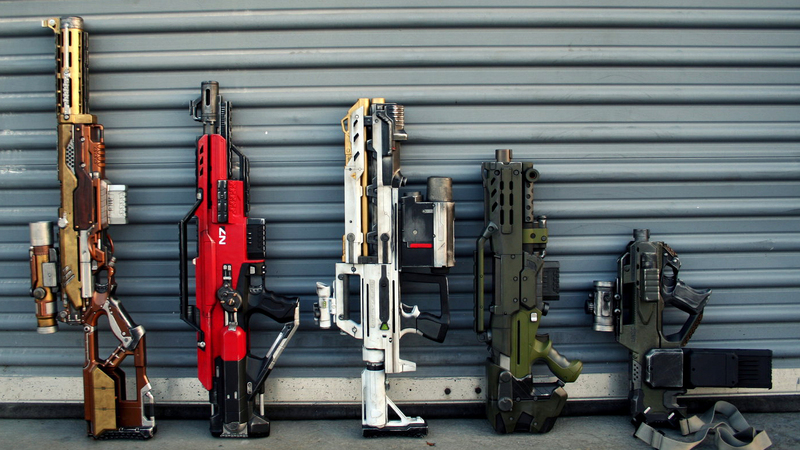 All custom Nerf photos courtesy Brian Johnson. Visit the Johnson Arms website for more information about custom Nerf. 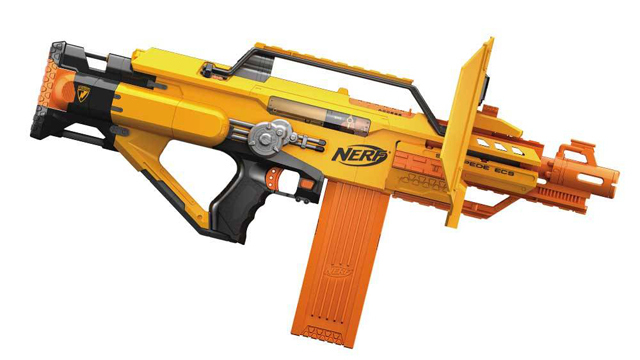 Correction: Replaced incorrect photo of the Nerf Longshot rifle.